September 04th, 2008 by Arwin John. Then again, when I look back at my own spiritual journey, I realise that once upon a time I was scared of the darkness and had no understanding of the existence of the spirit realm, thus bringing about negative views of them. 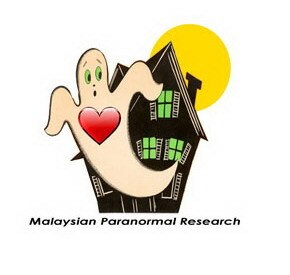 Therefore, I believe there are people out there who need help in understanding the spirit realm correctly and such a responsibility should be taken by those who have the understanding about the existence of the spirit realm..
Secondly, IGHS teach how to conduct a proper investigation by showing examples. In fact, IGHS doest not limit a person's personal ability but encourages its students to explore their own ability in a positive way and share this ability with others. I realise that by following strictly the IGHS standards and protocols I have managed to achieve great success in my paranormal investigations. Furthermore, I would like to share my experience on EVP recording. I have no experience and have no knowledge how to record an EVP but by following courses including the Home Study Course for Certified EVP Researcher I am not only able to record great EVPs but also able to process and understand the spirit's psychological state. Thirdly, I think the greatest thing that the IGHS has taught in their courses is love. I believe that those who have lost their love towards their own selves won't be able to find peace or to respect others. In fact, the attitude showing respect and reverence towards spirits of the dead actually are bound with love. In my opinion the greatest love should be come naturally within our hearts that includes mind-body-soul. In fact, it comes to my own understanding that the IGHS teaches us to shows respect and reverence towards the spirits of the dead because pure love that comes from our sincerity is gentle that touches deep within human hearts including those of the spirits of the dead.